Every once in a while a random sequel comes along and you can’t help, but wonder how it ever came into fruition. Ghost Rider: Spirit of Vengeance is such a film. It’s true that the first Ghost Rider which was released in February 2007 was met with certain success. It made over $115 million at the domestic box-office on a $110 million budget which is certainly a decent number for an adaptation of a second-tier comic book character. However given its mostly bad critical reception and mediocre word-of-mouth (as witnessed by the film’s pallid legs) it appears moreso unusual and random that this film actually saw a sequel happening five years after the release of the first movie. 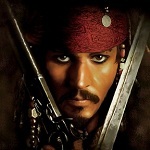 It is not unusual for Hollywood to continue movies that were successful at the box-office, nevermind the film’s reception by moviegoers. If the film is a success it’ll get a sequel. The kind of thinking is not very long-term and there is just hoping for the second movie to miraculously repeat the success of the first film despite lacking WoM. However usually here applies the “strike while the iron is hot”-principle. To have any chance to success sequels to films like these need to get out of the gate as soon after the first movie as possible. After a few years the original, not particularly well-liked film seems less than an afterthought. 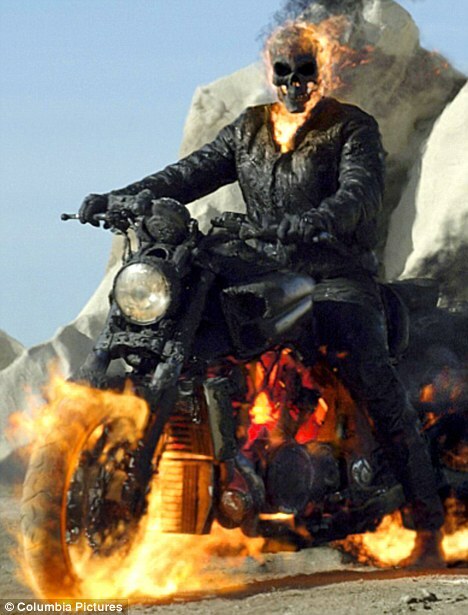 The more surprising it is that Sony has waited for this long to bring another outing of Ghost Rider to the big screen. Released almost exactly five years after the first movie Ghost Rider: Spirit of Vengeance seems like an even more random sequel than last week’s Journey 2: The Mysterious Island. At least that was a sequel to a generally well-liked film which surprised with tremendous legs at the box-office. It seems rather unlikely that there are hordes of fans that have been waiting for another Ghost Rider movie to finally hit the screens. It’s not surprising that Nicholas Cage went along with it, though, given his recent financial troubles. The audiences will hopefully stay away, though as this follow-up makes the first film seem like a top notch comic book adaptation. The one smart that that Sony did was basically rebooting the franchise, but keeping its main star, Nicholas Cage, as Johnny Blaze/Ghost Rider. Apart from the character there is absolutely no connection to the first film and Ghost Rider’s origins story is retold in a new way in form of short flashbacks. Not much time of the 95 minutes running time is spent on that, though. 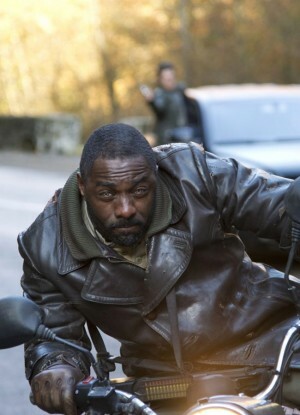 Set somewhere in Eastern Europe (because that’s a far cheaper location to shoot), Johnny Blaze who hides from the world is tracked down by an alcoholic French monk (played by Idris Elba, no less!) and tasked with protecting a young boy after whom the Devil himself (Ciarán Hinds) sent his human thugs led by Johnny Whitworth’s main baddie, Ray Carrigan who is later turned into Blackout the villain whose power is…to make all things that he touches rot and decompose. Yes, you read that right. To round off the cast Violante Placido of The American’s fame plays the young boy’s mother, trying to channel Linda Hamilton’s tough protective mother from T2: Judgement Day. Oh and there’s also an oddly short random cameo by Christopher Lambert who probably misses his old Highlander days, now being relegated to a short appearance in an unnecessary comic book sequel. There was not an original bone to be found in Mark Steven Johnson’s first Ghost Rider film, but thanks to Cage’s performance and some nicely done action sequences as well as a mostly glossy look it still passed as mindless and forgettable entertainment. Here the reigns have been given to the Crank makers Mark Neveldine and Brian Taylor. Now the two have created some of the freshest and most exciting action flicks of the recent years with the two Crank movies (the sequel actually improved on the original), but their frenetic jittery over-the-top style is just not utilized well at all in Ghost Rider: Spirit of Vengeance which is just a waste of the directors’ talent. First of all, the movie’s 3D effects don’t show at all. The jittery camera work quick editing simply won’t allow for any 3D effects to show. The big flaw here is, though, that the entire thing lends itself really well to be a mindlessly entertaining R-rated romp. The Ghost Rider character and the filmmakers all fit an R-rated movie extremely well, but due to mass appeals reasons Neveldine and Taylor are held back here. The over-the-top style worked in the Crank movies as well as it did also because the makers injected a lot of over-the-top violence into it. Here we get all the technical frenzy, but when it comes to the action scenes they just look tame, cheap and unnaturally bloodless. There is always a lot going on on-screen here, but the whole thing still lacks liveliness. Neveldine and Taylor might very well be the right directors for this project if given absolutely free reign, but it is painfully clear here that the studio obligated them to deliver a PG-13 rated movie. What we are left with then is an awful C-movie screenplay and fittingly cheap-looking locations. The nice landscapes of Turkey and Romania are a refreshing change of location for a major comic book adaptation, but whenever it comes to some actual sets the whole movie looks every bit as cheap as those locations were to shoot at. In fact, one of the major reasons why Sony went along with the sequel was most likely the reduced budget as the movie cost just $75 million to produce as opposed to the first film’s $110 million. That shows too as we don’t get any elaborate action set-pieces and the whole thing just looks cheap in every single aspect. In fact, whenever you don’t see Cage on-screen the whole movie looks and feels like a generic Steven Seagal Eastern Europe-set direct-to-DVD actioner. This starts with the opening sequence of disposable faceless thugs breaking into a monastery to capture the boy and shows in every single of the film’s few big action scenes. Even the Ghost Rider transformation effects look cheap. As bad as the film’s technical aspects look, the movie’s screenplay is even worse. The plot is an absolute rip-off (some evil force needs a little boy and a reluctant anti-hero gives everything to protect him) and the dialogue is some of the worst you’ll hear in a major motion picture in quite some time. Everything is a cliché from start to finish. Idris Elba is a good actor, but does himself no favors with his faux French-accent and his incessant wine-drinking (because he’s a French alcoholic, so his poison of choice must be wine, you know). Violante Placido’s protective mother leaves absolutely no impression and the forced romantic subplot between her and Johnny Blaze is as hokey and ridiculous as you’d expect. Johnny Whitworth’s villain Blackout must be one of the least memorable comic book adaptation villains to ever grace the screens and makes Wes Bentley’s Blackout from the first film seem like a menacing force. What can be said about Ciarán Hinds in the role of Lucifer himself? It is sad to see an actor as capable and with such a range as Hinds to make a fool of himself in a movie like this. Thankfully he doesn’t get much screentime to embarrass himself. This all brings me to Nicholas Cage who reaches new psychotic over-the-top heights with this film. It’s clearly that he just didn’t care much about the film’s plot and decided to just do his own thing here. Some of the line-reading by him approaches The Wicker Man-levels of ridiculousness and certainly provides a lot of fun if watched with friends and a lot of beer, but let’s face this; this will be a prime Razzies contender next year. At least he’s the only one in this film who seems to be having fun because he probably realized how awful the film actually is. Cage is screaming, contorting his face, twitchy and endlessly overacting. He’s spewing lines like “I’ll eat your stinking soul!” or “He’s scratching at the dooooor! !” alluding to the upcoming transformation into Ghost Rider with such ridiculous awesomeness that one can’t help but derive some guilty enjoyment out of his turn. This demented performance complements the demented images you see on-screen (there is not one, but actually two random scenes of Ghost Rider urinating fire). Some random political allusions are made here too and there is actually a fourth-wall breaking direct warning to movie bootleggers inserted into the movie’s animated prologue. This really needs to be seen to be believed. The year is still young and will probably deliver a lot more stinkers, but when compiling the list of 2012’s worst movies at the end of the year Ghost Rider: Spirit of Vengeance will likely resurface. 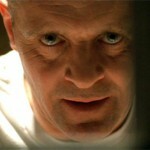 I enjoy your writing Lecter but did you write this one in a jiffy? I guess a forgettable article for an unforgiving movie. Damn that was bad show, atleast the audience had a good laugh. People save your money is all I can say. I want my time and money back and I don't say that really often even for bad movies.